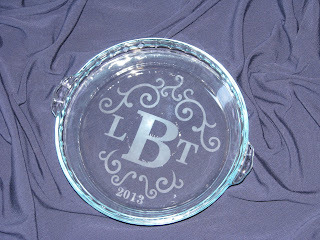 This design is one of the first designs made for a family member to give for a wedding gift to go on a trifle bowl. Honestly, I've never cared for this design that much, but other people seem to like it, so it stays. Just this week, someone ordered this design to go on a pie plate. As soon as I put this design with the actual pie plate, I loved it! I'm so glad this customer ordered this combination, because I never would have put it together. 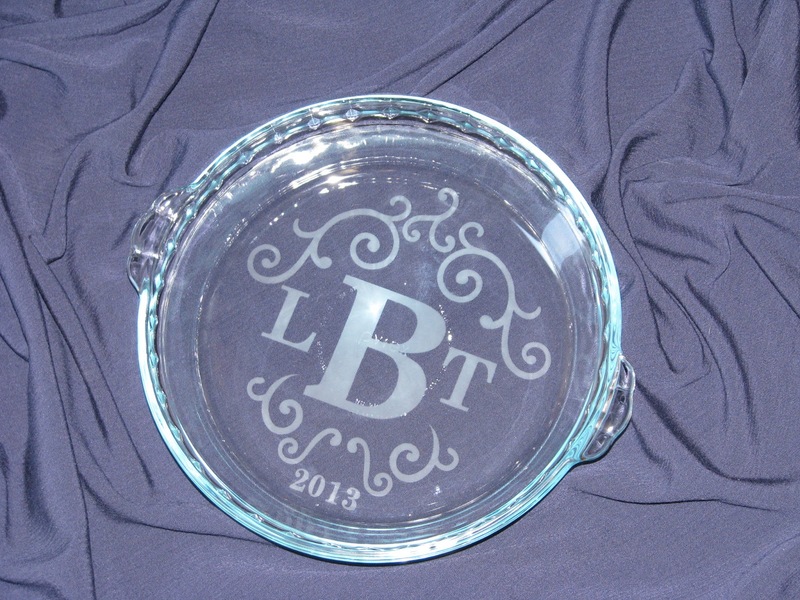 Some lucky couple in Alabama is getting this pie plate for a wedding gift. I do want to say thank you to all my customers! And especially to many customers who help me come up with more great design ideas for amazing wedding gifts!